I am Joanna, Sr. Manager of Analytics. I manage Aarki's team of data analysts with the main responsibility in campaign management. We focus on analyzing publisher’s performance and doing optimizations for ad campaigns through A/B testing, bid models testing, etc. I learned the vacancy through the company’s online job posting. There has been a big transformation in Aarki’s technology since then. Every time Aarki continues to develop its bidding algorithms with a strong statistical foundation to optimize towards our advertisers’ goals. Mobile advertising competition will be more aggressive and costly as more companies are shifting the focus to programmatic buying. Aarki’s ability to access different programmatic exchanges and unifying its diverse requirements in running ads. When advertisers commend the whole team with good work due to the success of the campaigns. Aarki is full of energetic people with innovative minds to cope with the rapid industry changes. In GIVING, don’t expect something in return because AMAZING THINGS happen to people who ACT SELFLESSLY. I love Busan, Korea. The food is superb! Heaven, Earth and the People. I want to be one of the most renowned personalities in the advertising industry to know their secret to success. Super speed, so I can accomplish a lot of things in a snap. I’m happiest when I accomplish something good. 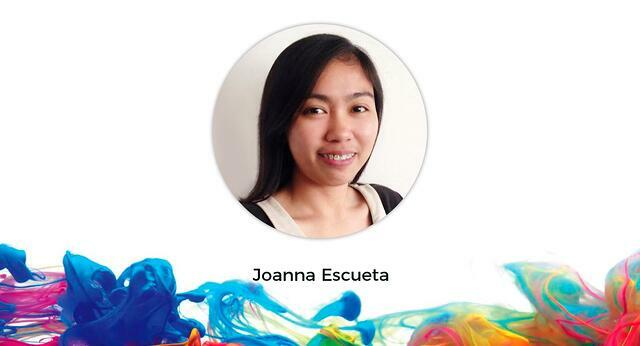 Joanna holds a Bachelor's Degree in Applied Mathematics. Her strong analytical skills enable her to provide excellent insights on the campaign performance and drive stronger campaign results.